I have been longing for a small old boat for years. I want it to place in a flower bed. Then I will place another flower bed inside the boat. When Charles and I drive along the shoreline in Ipswich or Gloucester we sometimes see these old relics that are no longer sea-worthy being used in this fashion. In Essex there is a traffic island that has an old dory planted right in the middle of it. Most old dories are quite large and heavy and they do not transport well in a short-bed pickup truck. Old wooden boats are difficult to find. Charles was on a trip to visit our son in Connecticut and he saw this boat for sale in Lordship. 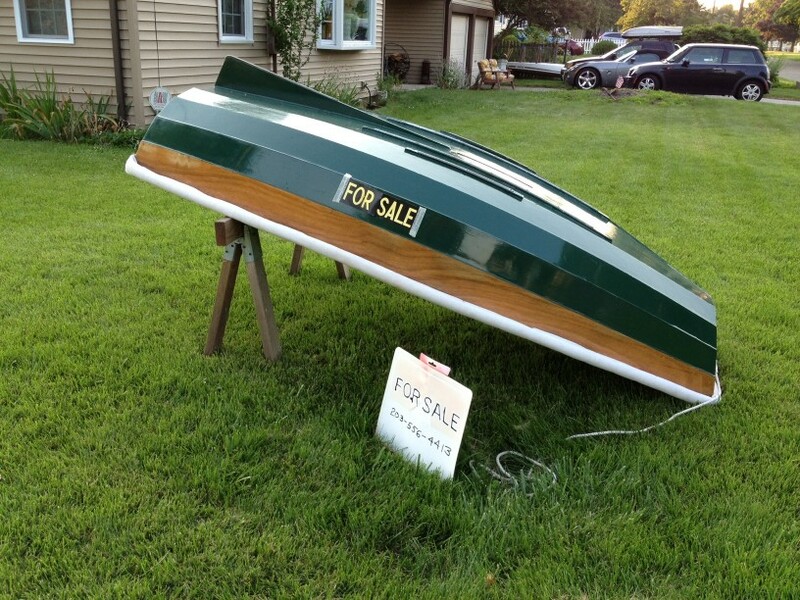 It is so neat and it would fit in Charles’ pickup truck, but the boat is to nice to leave outside in a flower bed. Maybe I can send him back to get it and we can use it on the pond.